I will be on KSL Channel 5's Studio 5 TV Show (NBC), Monday, March 22nd! 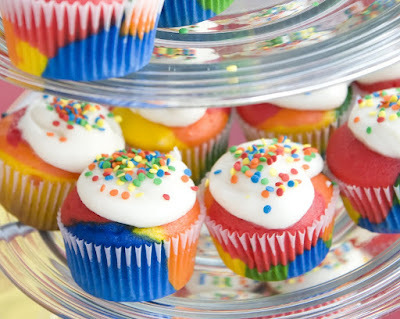 If you live in the Utah area, tune in at 11 a.m. and see me demonstrate how to make Rainbow Cupcakes. This recipe is one that I get questions about all the time. They're easy to make, especially once you see the technique, and I have developed a few tips and tricks that make it even easier. For those that live outside Utah, I'll post a link to the segment the following day! YUMMY! I can't wait to make them for my kids! 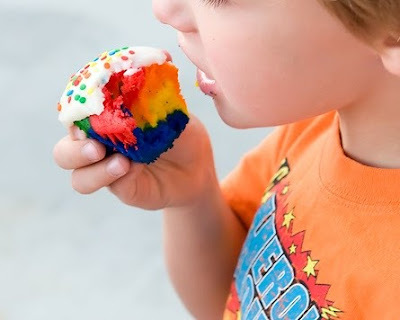 What is the recipe for the frosting as well?